Yayy I'm so glad you had such a great weekend with your momma!! Can't wait to see how you style your most recent shopping purchases! Have a great day girl!! Looks like such a fun relaxing weekend! Your blog is adorable! Sounds like the perfect girls weekend!!! 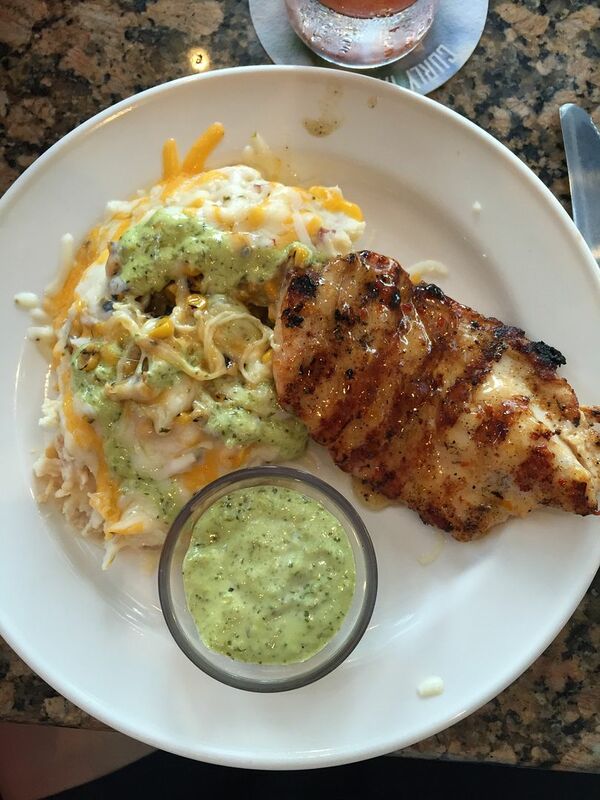 Sounds like a great weekend with some good food! 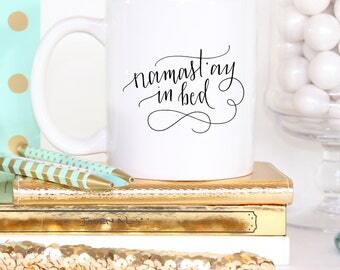 Haha, I need that cup! Looks like you had a fun weekend with you mama!! Sounds like an amazing weekend with your mom!! You girls had so much fun together! Successful shopping trip, good food, pool time... what more could you want?! I'm so glad you got to enjoy that time with her!! Awe, I'm so glad the two of you had a fun weekend together! Happy Monday! Aw I'm glad you had an awesome weekend with your mom! All of that food sounds so yummy! That movie is hilarious!! I thought it was going to be dumb but I actually really liked it! Sounds like it was a wonderful weekend with your Mom!! It's always a good weekend when you have success shopping. Mexican is always worth braving a storm! Saturday looks like the perfect mother/daughter date day. 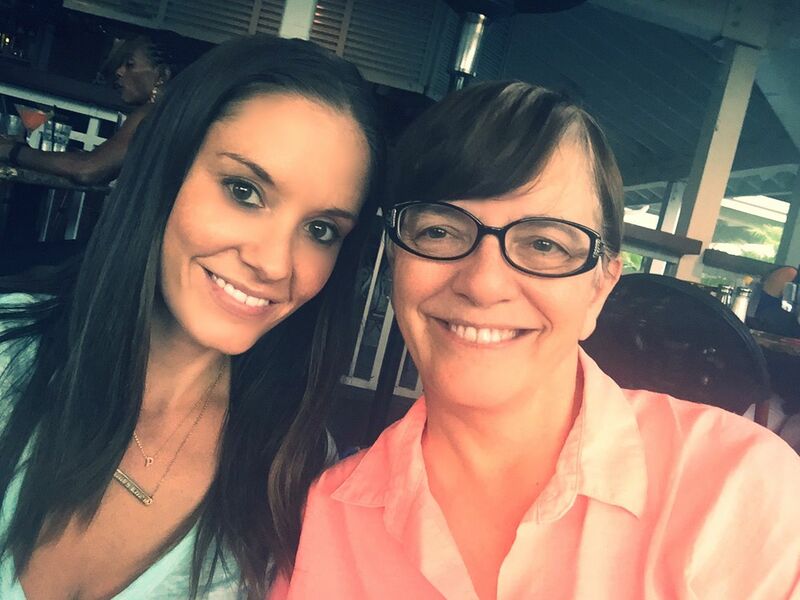 Aww sounds like such a fun weekend--time with moms is just the best :) I can't even believe how long your hair is getting again--holy cow it grows fast! Great photos, Have a good week ahead pretty lady. Such a fun girls weekend!! Glad you two were able to spend some quality time together and the crockpot pulled pork sounds ahhhmazing! Your mom won cards against humanity?!? That's just hilarious! What a fun weekend spending QT with her and love the pool selfie...your dinner at Bahama Breeze looks so yummy! I'll have to get that next time. What's it called? Your Mom is so cute! What a fun weekend! That Bahama Breeze dinner looks delish and I cant wait to see all your outlet finds! My hubby took our daughter to the outlets up here while I was at a blog conference this weekend. They got so much good stuff. I was definitely hating. Haha! PS - You kind of already look bikini ready in that pic with your Mama! Hot stuff! Ohh Bahama Breeze!!! I miss that place, we dont have one near me either. Sounds like you had a great time with your mom this weekend! I hope you have a great week! 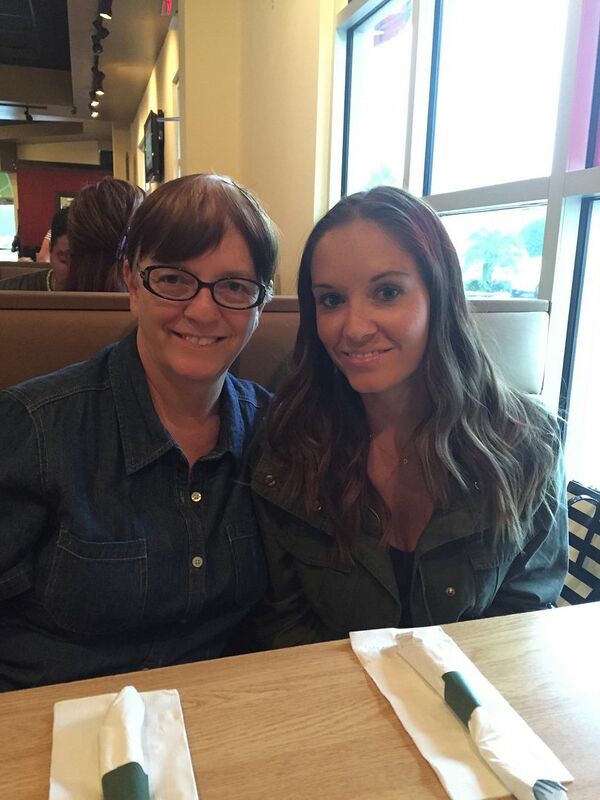 Glad you had such a great time with your mama! Such a fun weekend with your mom! So funny that she won Cards Against Humanity! What a wonderful weekend with your momma!!! :) So glad you guys had a great time together- even if she DID bring the bad weather, hehe. I had forgotten all about Bahama Breeze until you mentioned it. There used to be one here but its been shut down for years! 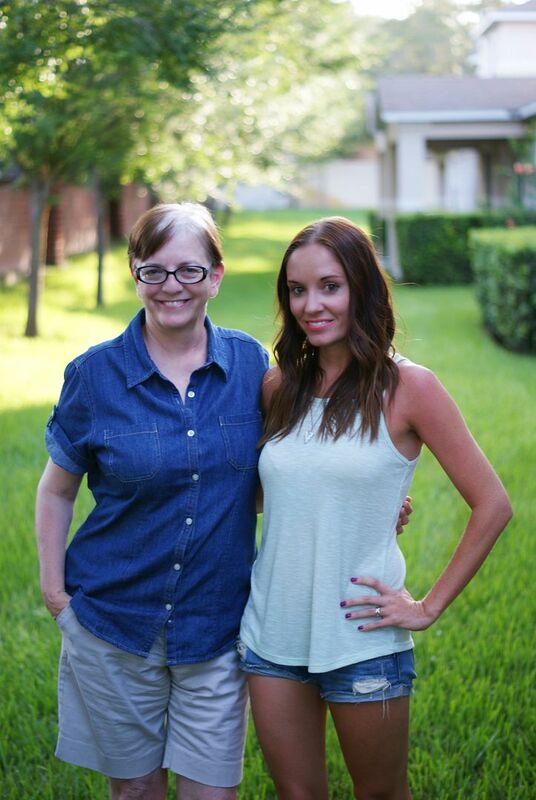 I love spending time with my momma! Sounds like you had an awesome weekend! Looks like you had a great weekend! Looking forward to seeing your purchases! Looks like a fabulous weekend, lady! Love the quote at the beginning, I needed to namaste in bed yesterday too. I'm late to blogs because I was a bit off yesterday, so stopping by today! That sounds like an awesome weekend with your mom! 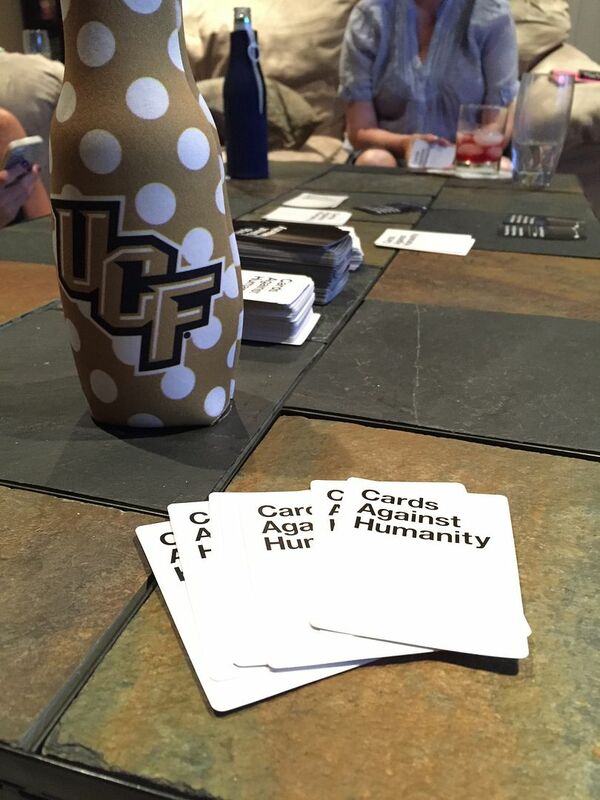 I love your UCF Koozie! !